The skater skirt is a great basic outfit. It’s a cool and casual outfit to wear for a day out with friends. This is a great option for those of you find a sundress too sweet and prefer something that looks a little more edgy. Skater skirts look great when paired with ankle boots. 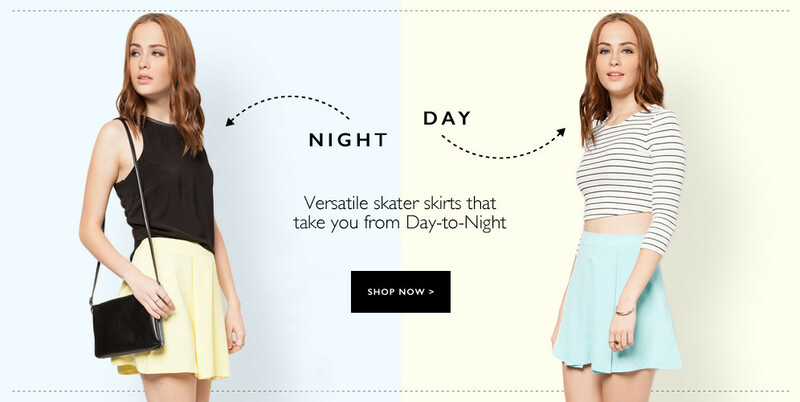 There are several ways you can rock a skater skirt. You could pair a skater skirt with an oversized off-shoulder top and channel school-girl chic. This look is easy to put together as well as really comfortable. Another way to pull off a skater skirt is with a cropped top. Flaunt your midriff and have all eyes on you. You could also pair a skater skirt with a bralette. This look is a tad risqué and is a great style to rock at a club or a wild party. Browse our wide selection of fashion for women now and get a free voucher upon sign-up on our site. ZALORA aims to bring together fashion and convenience to provide you with the best online shopping experience. As such we offer a variety of payment modes including Paypal, credit or debit cards, bank transfer and cash on delivery. Our excellent returns policy just sweetens the deal. So ladies, start shopping now!